Ashcombe Under 15 beat Wessex and Beach Academy to progress to the 2nd round of the National Championships when they traveled to Bournemouth on Saturday 26th January. 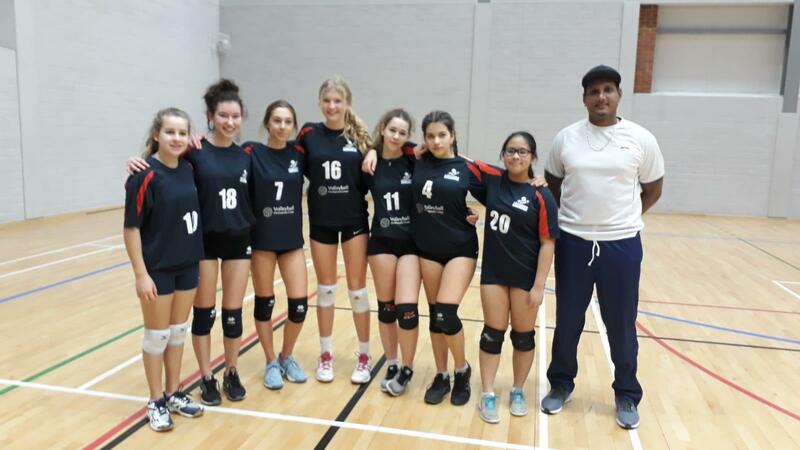 Captained by Emelia Vakeva-Baird the young Ashcombe team showed how much they have improved this year with some of the players only starting to learn to play volleyball in 2018. Hattie Breadon and Francesca Lovesey joined Vakeva-Baird and led by example with service and consistency in attack and defence. They beat Wessex 2-1 in a very close and hard fought game but followed this with a 2-0 win against Beach Academy. Cristiana Hobbs, Holly Hepburn, Emilia Khoury and Cara Perry completed the Ashcombe line up in Bournemouth. The next round will be held at Ashcombe on Sunday 24th February against Boswells School, Essex, South Bucks and Richmond.